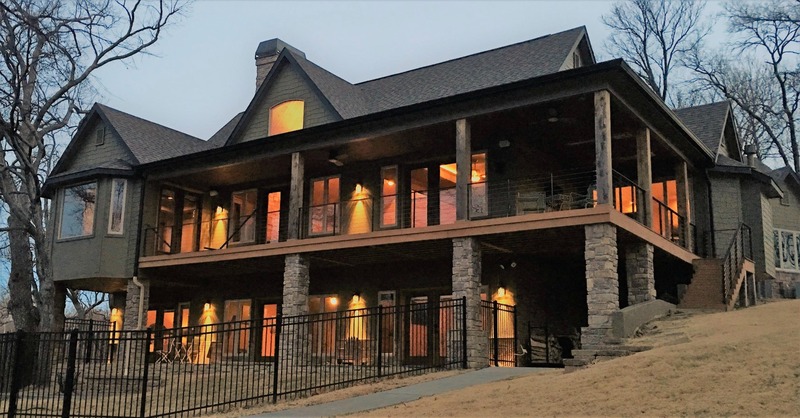 Monkey Island is the place to be at Grand Lake, and this beautiful executive home at 56294 E 302 Road puts you right in the middle of all the action. This 3 bedroom, 4 bath waterfront home features meticulous details through the 4,034 square feet (mol) of living space, including a gourmet kitchen adjoining a spacious great room that makes this the perfect spot for casual, yet elegant, lakeside entertaining. This home is offered by Teresa Poindexter of RE/MAX Grand Lake. Go HERE to see the full listing – including many pictures – or you can reach Teresa at (918) 964-9799 or by email at [email protected] to schedule a viewing of the property. Plus there is an open house at this property THIS Sunday, March 5, 2017, from noon to 3 pm. Besides the lakefront location and picturesque lake views, you will also find two 40’ boat slips for your lake toys. Whether or not you like golf, you will love the location near Shangri-La Golf Club where you can also enjoy the Summit Restaurant and Buffalo Bar, plus members of Shangri-La can enjoy all of the amenities of the soon to open Shangri-La Hotel Resort Hotel and Conference Center. Naturally, you will find all of the features you’d expect in an elegant lakefront home, which includes knotty alder 8 foot doors and woodwork throughout to give the home a lodge like feel. The gourmet kitchen includes a 48” range with pot filler, a built-in refrigerator, ice maker and a separate wine and drink refrigerator. In the master bath you will find heated travertine floors, a BainUltra Therapy tub and an over sized shower. A spectacular Frank Lloyd Wright Tree of Life inspired leaded glass window is above the tub. All of the TVs in the home are included, plus a top of the line security and camera system so you can keep an eye on things when you aren’t around. With all the great things happening around Grove and Grand Lake, there has never been a better time to make the move to Grand Lake and purchase your slice of Grand Lake waterfront real estate. And this beautiful lakefront home on Monkey Island is that perfect lakefront home just waiting for you. 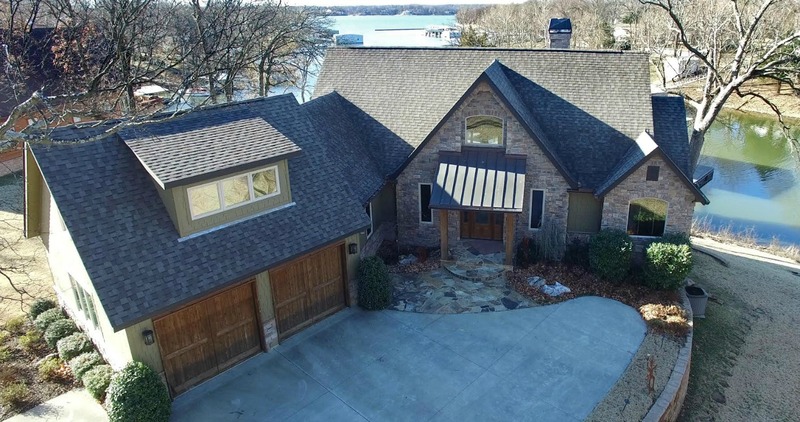 This home is offered at $999,900 by Teresa Poindexter of RE/MAX Grand Lake. View the full listing, including a bunch of pictures, HERE or you can reach Teresa at (918) 964-9799 or by email at [email protected] to schedule a viewing of the property. Also be sure to check out Teresa’s website at http://www.grandlakefronthomes.com/ for more information and to search through all the homes currently available in the Grand Lake area. Again, to make your 2017 Welcome Back Weekend complete, make plans now to stop by the Open House at this beautiful Monkey Island home on Sunday, March 5th, between noon and 3 pm.